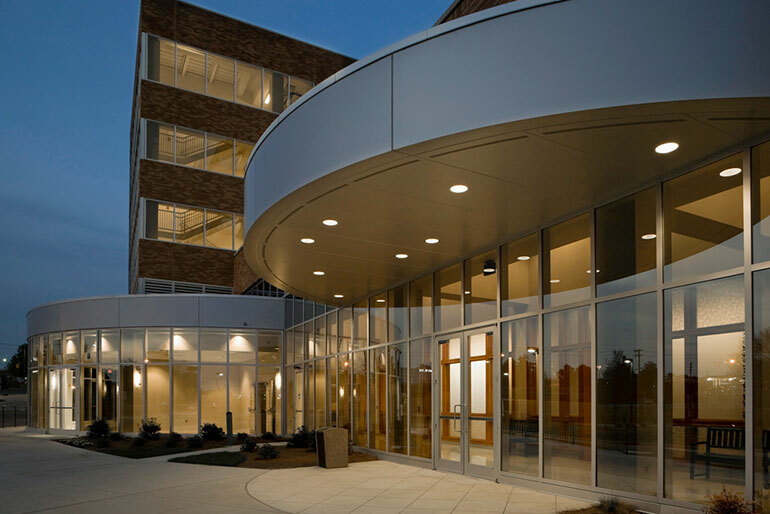 The new North Pavilion consists of a new main building entrance, community spaces and Non-Invasive Cardiology on the first floor. 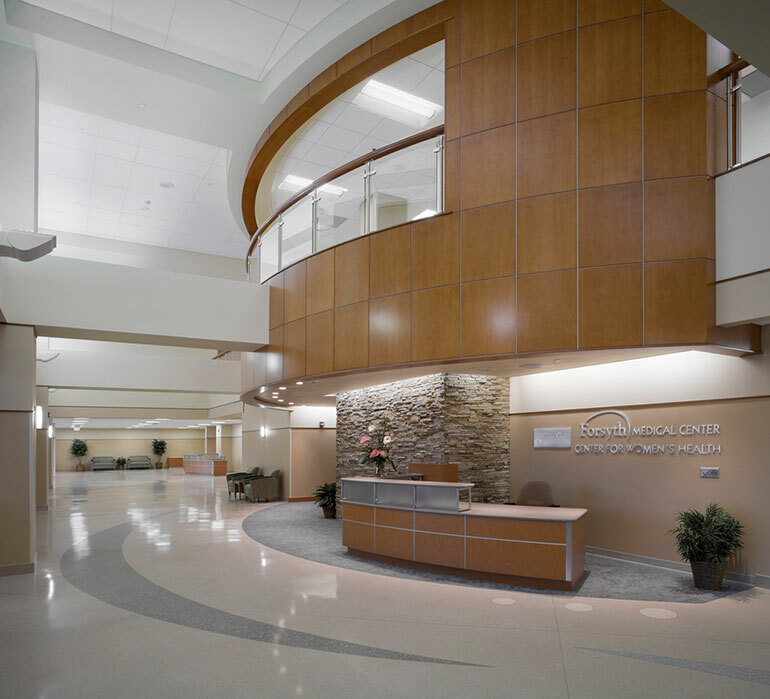 Eight new Invasive Cardiology Cath-Labs and support areas occupy the second floor. 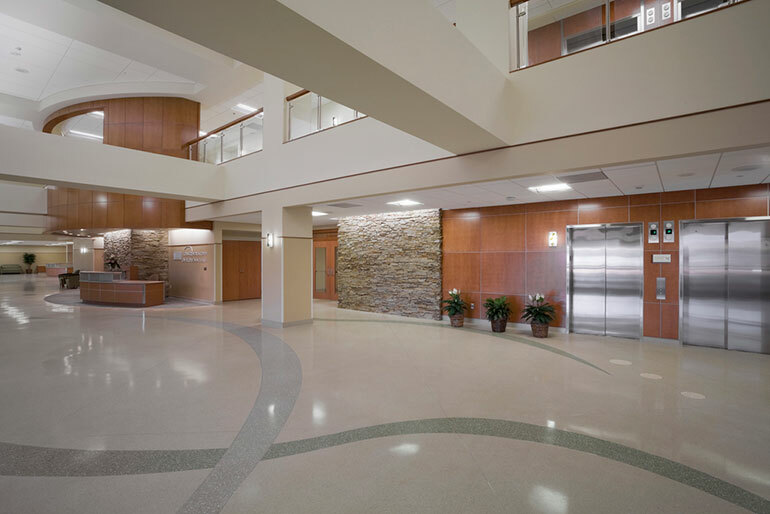 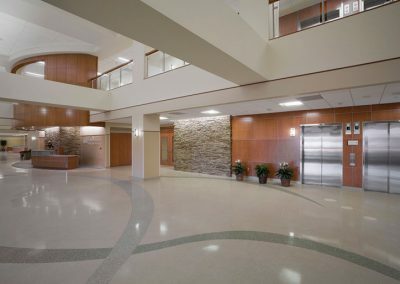 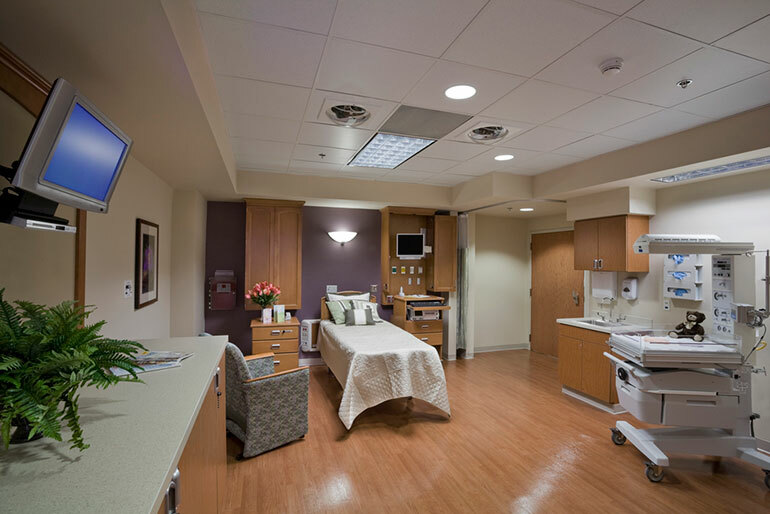 The third floor features the 30,274 square foot, state-of-the-art Neonatal Care Unit (NICU) department. 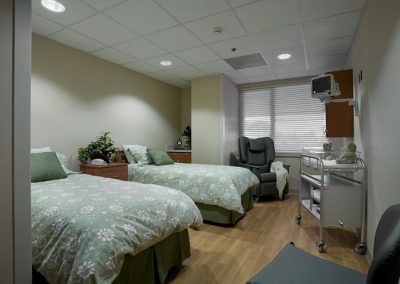 The third floor also has a Ronald McDonald House Family Room to provide a respite area for the parents of the NICU children. 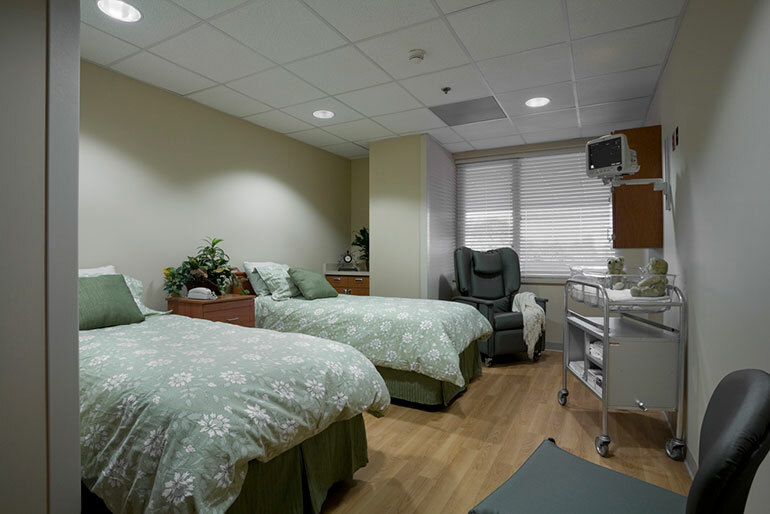 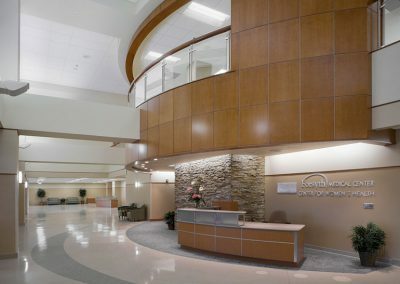 The fourth floor has 25 new labor and delivery rooms that, because of their large size and beautiful accommodations, could be called Suites for patient care. 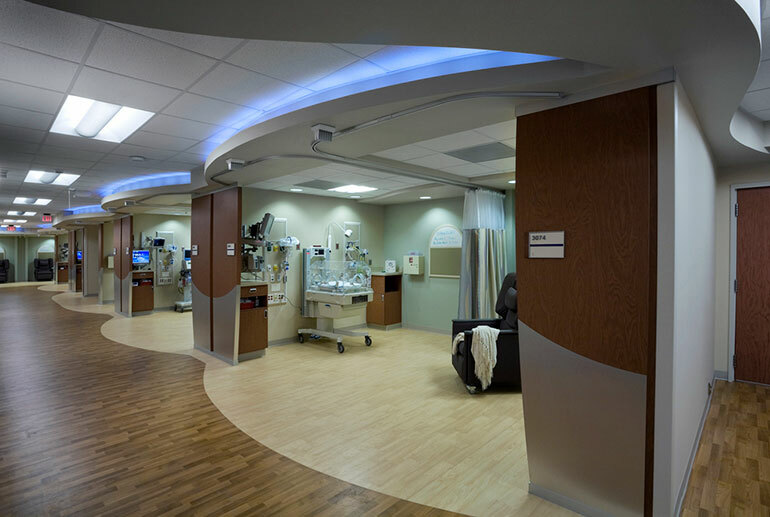 The Coronary Critical Care Unit (CCU) consisting of 24 bed Unit and support areas make up the fifth floor. 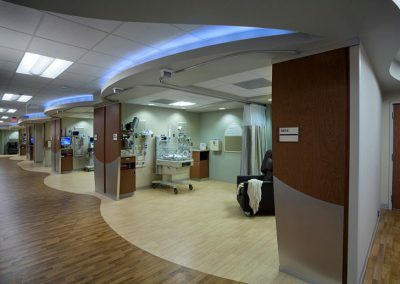 Floors six thru nine are each a 30 bed Medical and Surgery Unit. 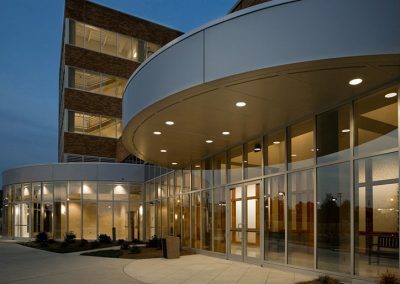 The ground floor area houses the building support space as well as some of the required engineering systems; the penthouse area also provides additional engineering systems.